In a recent commentary (see this link), we saw that some clinicians are making unsubstantiated claims of cancer control from treatment of oligometastases (less than 5 detected metastases). Only a randomized clinical trial (RCT) can prove that there is any benefit to such treatment. Johns Hopkins has announced the first such RCT in the US. Metastasis-directed SBRT after primary treatment (prostatectomy or prostate radiation) and any local salvage radiation has failed. This is sometimes called “metachronous” treatment of recurrent prostate cancer. Radiation to the prostate and oligometastases in newly-diagnosed men, or men who are radiation- or surgery-naive but have progressed to castration-resistance. Radiation to metastases for the purposes of pain palliation, or to prevent fractures or spinal compression. In addition, the situation may be different depending on whether the oligometastases are in the visceral organs, bones, extra-pelvic lymph nodes, pelvic lymph nodes, or some combination of these. 36 men will receive SBRT; 18 men will receive standard-of-care treatment. Oligometastases are diagnosed by bone scan and CT. Patients will be balanced based on whether initial treatment was surgery or radiation, whether they’ve had hormone therapy, and whether the PSA doubling time was less than 6 months. The primary outcome will be radiographic or PSA progression (by >25 percent over nadir and by > 2 ng/ml) after 6 months. To be deemed successful, the treatment will have to reduce this measure of progression by 50 percent. We will see if the radiation activates a systemic T-cell response that may destroy cancer cells beyond the treated tumors (the “abscopal” effect). It may seem odd that detection of fewer than five metastases by the DCFPyL PET/CT (developed at Johns Hopkins and now in expanded trials) is not a qualifying criterion. Perhaps they will change that for the Phase III trial. Or perhaps they want to prove the concept with a bone scan/CT because it will be several years before that PET scan (so far, the most accurate) is widely available and covered by insurance or Medicare. If it works for bone scan/CT-detected oligometastases, it will certainly work for DCFPyL PET-detected metastases. It is also important to note what is not an objective of this early clinical trial. The outcome we most want to know is whether SBRT treatment of metastases extends overall survival. This 6-month trial will not tell us that. There is no doubt that local control will be excellent, but stopping the progression of one to three metastases does not necessarily mean that the cancer has been slowed down systemically at all. Certainly, PSA will fall as an immediate result of treatment. For those who are used to monitoring PSA as a measure of their cancer’s systemic progression, this can be confusing. It’s worth taking a moment to recall what serum PSA comes from in detectably metastatic disease. PSA is a protein on the surface of prostate cancer cells (and healthy prostate cells too.) It doesn’t leak out into the blood from prostate cancer unless a tumor forms with its own blood supply. Tumor blood supply tends to be leaky, and so PSA is detected in the blood serum. Larger tumors with more blood supply put out more PSA. So irradiating those tumors and shrinking them is likely to eliminate the PSA they put out. But what about the micrometastases that do not yet have appreciable blood vessels? If there are thousands of them, will it matter that serum PSA was reduced for 6 months? No one knows the answer to that question and this Phase II study will not provide the answer. I hope they will provide radiographic progression-free survival separate from PSA progression-free survival. For the answers to our most important questions we will have to look forward to the outcomes of some of the other RCTs that have longer follow-up than 6 months. The CORE RCT at Royal Marsden Hospital in London will have 5 years of follow-up (completion in 2021), and will include freedom from widespread metastatic disease and overall survival among the outcomes looked at. The STOMP RCT at University Hospital in Ghent will have 2 years of follow-up (completion this year) and will look at time to lifelong hormone therapy as its primary outcome. The PCX IX RCT (among castration-resistant patients) at Jewish General Hospital in Montreal will have 5 years of follow-up (primary outcome in 2025) and has radiographic progression-free survival as its primary outcome. The French RCT (not yet recruiting, study completion in 2022) will look at radiographic progression-free survival with follow-up up to 3 years. Nice summary of status of trials. It will be excellent data for future decisions. Unfortunately most of us don’t have the timeline left to benefit from the data. Each question that is to be answered is a part of the unknown for me right now (as it is for many men who follow this site). Is it a waste of time and money to use SBRT to treat oligomets if these few are the first of many, many more to surface in due time? I’ve treated BCR after RP with SRT to prostate bed, treated two mets in iliac lymph nodes and all other pelvic nodes with IMRT and ADT3, and treated one met in femur with SBRT, ADT3 and Xgeva. I’ve had no recurrence in pelvic area or in prostate bed. Too early to tell about the bone met. My take from this is that RT has worked to date in the areas treated but has not stopped recurrence elsewhere. But I didn’t expect RT to cure me of cancer so my expectations have been realized. I do believe that I will have survived longer because of RT to oligomets. I have definitely reduced the time on ADT and perhaps increased the time when I eventually become ADT refractory. But can’t prove it. My feeling is, why not zap them if (1) it is safe to do so, and (2) it doesn’t preclude use of proven systemic therapies? There may be a benefit to zapping mets on load-bearing bones to prevent fractures anyway. But if there are mets near organs that are sensitive to radiation damage (e.g., the heart or intestines) the risk/benefit ratio is not as certain. Detection of mets is difficult at low PSAs, so patients are tempted to allow PSA to rise to aid detection. However, the TOAD RCT (which was under-recruited and had only 5 years of follow-up) has brought the issue of waiting to begin systemic therapy into question. Another important question is whole pelvic radiation vs zapping individual pelvic lymph nodes. None of these questions is easily resolved, so deliberation and judgment together with an experienced radiation oncologist are necessary. Thanks for this second article on oligometastatic research. I have some comments, the first here. This reminds me of a view expressed by “Dr. Bob” Leibowitz for many years that was current back when I was diagnosed in 1999. He believed that all prostate cancer was systemic; his corollary was that surgery and radiation were quite inferior treatments and that all men should be treated by ADT. He could point to research showing that even men with low-risk cases suitable for surgery had very high percentages of seeming prostate cancer cells in bone at the time of staging, cells I believe we would view today as often not capable of long-term viability. However, I suspect that even Dr. Bob has changed his view of the need for universal systematic treatment because of rather convincing research on surgery and radiation outcomes demonstrating very long-term success for many men, even including men with regional metastases that were radiated. Regarding oligometastases after primary treatment (often including ADT, a systemic treatment of course, in support of radiation), it is not at all clear that more systemic treatment is necessary for a cure in all cases; I suspect it will turn out that there are many men who will not need such systemic therapy, though many others will. Some of the expert physician/researchers I am following now have an expectation that one or more rounds of local treatment, such as typically by SBRT and/or surgery, will be effective for many patients, without additional systemic treatment, particularly ADT. For at least a decade after my own life-threatening case was diagnosed, this seemed impossible. Now we are seeing a number of doctors who have oligometastatic patients in long-term, unsupported remissions that may be cures. Here are just three of the physicians who have related experiences about these durable, unsupported remissions: Dr. Eugene Kwon, Dr. Charles “Snuffy” Myers, and Dr. Mark Emberton (one remarkable case). I have previously commented about Dr. Kwon and his dandelion analogy in response to the earlier article mentioned above. In short, Dr. Kwon suggests that “the vast majority” of men with recurrent cancer he sees at The Mayo Clinic, Rochester, MN, have the oligometastatic variety rather than the already exploded variety characterized by many and distant metastases (2016 Conference on Prostate Cancer, Disc 2, between 7:24 and 8:06). He and his colleagues have produced a map of the sites of these metastases, and he stated in September of 2016 that many are in range of pelvic radiation that could have been provided at the time of primary treatment, especially with supportive imaging, in his case typically with the C-11 choline PET/CT scan (2016 Conference on Prostate Cancer, Disc 2, around 12:38-14:48). Many of these sites would be targetable with spot radiation or surgery after primary treatment. In examples throughout his talk and Q&A sessions, Dr. Kwon demonstrated that some men need systemic treatment to support their shot at cure while some apparently do not; indeed, spot therapy sometimes succeeds after systemic attempts have failed. Dr. Charles Myers has written about extraordinary durable, unsupported remissions in his newsletter and books. Indeed, such remissions have been a key objective in his clinic. Perhaps as impressive as any is his own case of prostate cancer that was metastatic at diagnosis, treated by surgery to metastatic sites, radiation, and ADT3 for 19 months. He is now doing well in his 19th year as a survivor. I believe he has no evidence of disease. Dr. Mark Emberton, known as an expert and pioneer in focal prostate therapy in London, spoke about one remarkable case of oligometastatic disease he helped treat. The patient was a famous UK cardiac surgeon with a high PSA and metastatic cancer at the outset: one lymph node and two bone metastases. Despite Dr. Emberton’s advice that he go on ADT, the doctor insisted that Dr. Emberton treat his prostate, in fact the patient wanted and got focal treatment (the right side), and then he had CyberKnife in Munich for the metastases. He was still free of disease at the 8-year point. Dr. Emberton seemed somewhat in awe of this result, which he suspected was rare, and he too was eager to see clinical trials (2017 Prostate Cancer Conference DVD set, Disc 3, 2:14:40-2:17:59). Again thanks, Allen. I appreciate the thrust of your article and am just contributing at the edges. I don’t want anyone to get the impression that a single case study and the personal opinions of a couple of self-promoting doctors represents science. They are just their personal oropinions, and, I hope that no patient takes them as medical science. That would be reckless and dangerous. Neither Kwon nor Myers has ever conducted a randomized controlled trial about this and/or has any special knowledge. In spite of self-promotion among some doctors, populism should have no role in evidence-based medicine, nor in politics, IMHO. I decided along with my two ROs to go back on ADT3 and add Xgeva and not just rely on SBRT to my single bone met due to my PSA doubling time of a month. I wonder what Drs. Kwon and Myers would recommend in this setting? There were quite a few comments on oligometastatic disease at the conference. But after reviewing all the conference talks and Q&As carefully, my recollection is that no one commented on adding ADT to spot treatment. That said, I’m with you! Alan – It’s important to consider a fundamental epistemological issue: in other words, what are the origin, nature, methods and limits of knowledge about oligometastatic prostate cancer. RCTs AS SOLE VALID EVIDENCE? : The critical issue here is whether or not randomized, placebo controlled (and let’s add double blinded, adequately enrolled, and sufficiently large) Phase III clinical trials are the only acceptable evidence for medical effectiveness. I’ll admit I’m biased, as I can make a solid case that I would have been dead for many years now if I had put my trust in such trials as the only valid evidence, or relied doctors who do. One alternative font of knowledge, that I am convinced makes a large contribution, particularly for those of us with life-threatening cases where the effectiveness of proven therapy is doubtful, is the evidence that comes from long-term clinical practices dedicated to prostate cancer only with large proportions of patients with high-risk and well-advanced patients, where the practices are led by talented physicians with a knack for disciplined observation, tracking and communication. That is the source that I am convinced provided the strategy and tactics that have not only saved my life but positioned me in very good health and fitness after 74 years. Here are a few thoughts about that source of knowledge. ADVANTAGE IN OBSERVATION FOR DEDICATED PRACTICES: A key aspect of science is the observation of patterns and trends. Consider that the average doctor treating advanced prostate cancer patients is going to be a medical oncologist. Most such oncologists are going to treat a variety of types of patients, cancers and stages of cancer, and in the bureaucratic and other constraints of our typical modern medical delivery setting, they are going to be very busy – pretty well saturated with demands on their time and attention. Setting aside pediatric oncologists, such oncologists typically treat men and women from young adulthood to old age for a variety of types of cancer. In sharp contrast, doctors in practices dedicated to prostate cancer focus only on men with prostate cancer, and my impression is that such practices usually have hefty proportions of challenging cases. These doctors have a big advantage in treating prostate cancer more effectively because they devote the vast majority of their time, attention, and resources to just our disease. They have the luxury of focusing on research developments (often well short of Phase III trials) not in all cancers but almost exclusively where prostate cancer is involved. They have time to attend and present in conferences and conference sessions where prostate cancer is the main topic. They are able to cultivate relationships with colleagues who also have a laser-like focus on the disease. 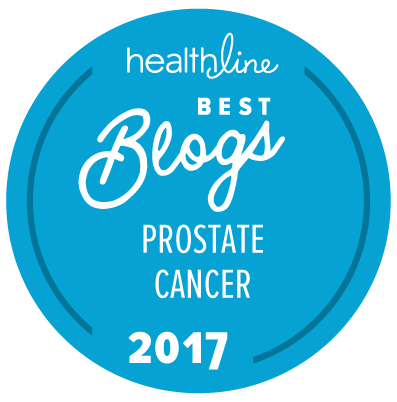 BRILLIANCE AS ANOTHER ADVANTAGE: Also, these doctors who are confident enough to be willing to rely on just prostate cancer patients tend to be rather brilliant. Let’s look at Dr. Charles “Snuffy” Myers (one of the “myers ce [au]” in PubMed). Most of his research was published during an exceptional career at the NCI. Starting in 1974, he was an author on papers published on an average of EVERY THREE WEEKS for years. He represented the NCI in updating the American Association for Cancer Research conferences on what was developing at the NCI, not just his own research. From just the years 1990 through 1999, there were 19,139 citations of papers on which he was an author. He was a key investigator on a number of clinical trials. He has worked closely with a number of very prominent clinical trialists. This kind of mental power often confers another benefit: an ability to connect the dots – to understand and appreciate the mechanisms of drugs and other biological phenomena. For instance, Dr. Myers brought to his oncology work his expertise from years as a pharmacologist; among other advantages, that enabled him to envision and confidently test possibilities instead of just “painting by the numbers” (though I’m not denigrating such “painting”, which is highly complex and demanding, even if “by the numbers”, in medicine). Just two of a multitude of possible examples of Dr. Myers’s expertise put to work is in his suggestions about the use of metformin and estrogen in prostate cancer therapy, neither proven by gold-standard clinical trial. WHERE LEADING PRACTICES ARE YEARS AHEAD OF THEIR ONCOLOGY FELLOW CLINICIANS: As a result, these exceptional practices often are years – sometimes a decade or more – ahead of their peers in treatment strategy, tactics, and success. As just a few examples: they were using ultrasensitive PSA testing in the 1990s, probably at least a decade ahead of typical oncology practices, not to mention urology practices. These advanced practices were advising patients about the risk of loss of bone density on ADT (e.g., PCRI Insights, January 1999) as well as how to counteract it at least a half decade ahead of its being addressed in member education efforts by the oncological and urological societies (I’ve seen the “education books”); and they were advising patients on ADT about risks of other side effects AND how to counter them back in the 1990s, while other practices were not even aware of the issues until well into the next decade. They were seeing the benefits and were expert in the ins and outs of combined ADT (controlling testicular testosterone and anti-androgen) and particularly triple ADT (adding a 5-alpha reductase inhibitor), in contrast to single agent ADT, back in the 1990s, based on consistent favorable results from large numbers of patients in their practices. HUGE DISADVANTAGE FOR GOLD STANDARD CLINICAL TRIALS: And here is an excellent time to bring up a huge disadvantage of gold standard type trials: the high expense and need for a sponsor with deep pockets, motivated at least in part by patient welfare. I have viewed the Strum, Scholz and colleagues’ proposal in the 1990s for a trial of triple ADT that was turned down by the solicited sponsor, whom I believe was Merck, the developer of Proscar (finasteride), the third element (then) in triple ADT. Consider Merck’s position: they had a product, Proscar, on which the patent clock had been running for some years, and it would be at least several more years before the proposed clinical trial could be launched, executed and reported. Now not only would the patent clock be ticking down by the time the trial could have been reported, at which time Merck’s hold on the drug would have slipped away (as it did), but Merck executives would certainly have been aware that a competing and somewhat more effective drug, Avodart (dutasteride) – GlaxoSmithKline (GSK), was breathing down their necks for market share and could reap most of the benefit of Merck’s sponsoring an expensive clinical trial. Dutasteride was patented in 1996, first described in the literature in 1997, approved by the FDA for BPH in 2001, and on the US market in 2002 as Avodart. If you were a Merck executive, would you have approved a big expenditure for sponsoring such a trial that probably would have produced no net benefit for you but likely would have helped a competitor? I’m guessing that few pharma executives would have done so. Therefore, who else might sponsor such a trial? Possibly the NCI, but the search for a sponsor would have likely have had to go up a steep hill. So does that mean that intermittent ADT3 is not a sound approach because it has never been proven in a trial? Not to me. Not to Dr. Myers either, who, with his life very much on the line for his case of metastatic prostate cancer in 2000, chose ADT3 as a key element of his therapy, which also included surgery and radiation. Some doctors still say that using Proscar or Avodart promotes risk of high grade disease (though the evidence puts that in the highly doubtful category). Gee, maybe I should be concerned; after all I’ve been on one or other of these drugs continuously since September 17, 2000, nearly seventeen years now – maybe it will prove dangerous to me during one of these coming decades. DR. EUGENE KWON: A word about Dr. Eugene Kwon, whom you also mentioned. He is a leading urologist/immunologist, with an international reputation, treating and researching prostate cancer (and other diseases) at the world-renowned Mayo Clinic in Rochester, Minnesota at which he has a prominent, leading position. In addition to his leadership in use of C-11 choline PET/CT imaging for prostate cancer (4,500 to 5,000 such scans per year at Mayo), he is known for his work with ipilimumab (Yervoy) for prostate cancer. He was the lead investigator for clinical trial NCT00861614 ,the trial that explored and nearly proved effectiveness (versus placebo) n treating post-radiation patients with metastatic castration-resistant prostate cancer that had progressed after docetaxel chemotherapy (799 patients, double blind, Phase 3). (https://www.ncbi.nlm.nih.gov/pubmed/24831977) He has 5 PubMed papers involving clinical trials, plus up to another 118 papers on which he may have been an author (kwon ed [au]). Regarding the C-11 choline PET/CT scan for prostate cancer, his group has done and published pioneering work in researching the landscape of early metastases (https://www.ncbi.nlm.nih.gov/pubmed/27449262). As an indicator of the volume of cases scanned and selected here, this study winnowed 202 men with metastatic prostate cancer who had not received ADT or radiation from 2,466 men who underwent C-11 choline PET/CT for suspected prostate cancer relapse at Mayo, Rochester between January 2008 and June 2015. UNDISPUTED VALUE OF GOLD STANDARD CLINICAL TRIALS: Of course I do not mean to imply that gold standard type clinical trials are not highly important; they are. They are particularly vital in enabling very busy general oncologists to be aware of advances in medical practice. They also sometimes show that what we confidently thought was true was, in fact, invalid. What I am stating is that we are wearing dangerous blinders if we presume that such trials are the only source of good and useful evidence for clinical practice, and that the shared experience from large, well-led practices dedicated to prostate cancer is another valuable source of evidence. If you are happy taking advice from self-promoting doctors and think they are the best word on the subject only because you have heard of them, that is certainly your choice. I have heard of a lot more doctors, and perhaps a lot better doctors than those. I’ll stick with medical science and its Levels of Evidence over bombast from self-promoting doctors. Professional opinions are certainly evidence, but they are the lowest level of evidence possible (Level 5 evidence). They are fine for hypothesis generation — and they certainly can be considered by patients — but patients must also evaluate those opinions in context of all the higher level evidence available. The levels of evidence were created after very thorough consideration of what turns out later to be true. You raised a good example — ADT3 was just such a hypothesis that turned out later to be untrue. This site is an excellent starting point for separating the real facts from the puffery. I went back on ADT3 after a PSA doubling time of a month and a bone met and had SBRT to the met. Has ADT3 been proven to be ineffective? What’s unnecessary: bicalutamide, Avodart, both? It’s not that ADT3 has been “proven to be ineffective”. The problem is that it has never been proven to be any more effective, on average, in a large group of comparable patients, to any other form of ADT. However, I should also state clearly that no one has ever carried out a really large, randomized, placebo-controlled, double-blind trial that could have proved this one way or the other with Level 1 evidence. The nearest thing we have are the data from the TARP study that were reported nearly 4 years ago now, and which showed no survival benefit to ADT3 compared to ADT2 in men with a rising PSA after initial ADT1. However, this was a relatively small trial with only 127 patients enrolled and we would probably need a trial in something like 1,500 men to show a real difference (if there is one). Moreover, this trial design was a steep challenge for ADT3 because all participants had to have already failed LHRH-agonist therapy. In other words, instead of the usual group of men recurring after primary treatment who embark on ADT, this group had already tried single agent ADT – an LHRH-agonist drug or orchiectomy – and failed, and such failure is a sign of more aggressive cancer. The doctors I follow, whom I regard as expert in ADT and who have used a lot of ADT3, do NOT regard any kind of ADT as stand-out effective against metastatic cancer, where the cancer has already built up momentum, so to speak, though ADT does typically give a period of control, perhaps a year or two (with a few patients achieving impressive long-term success). Newer drugs and drug combinations should improve success, and there have been encouraging signs of that. I have the impression the experts would expect ADT of any kind, including ADT3, to be less effective against a more challenging but not yet detectably metastatic group, such as the group in the TARP study. As just one possibility, failure to achieve longer term cancer control with TARP-style ADT is more likely because, in a trial where all patients had failed LHRH-agonist therapy, it is more likely there would be more men with “small cell” prostate cancer, a type that does not respond to ADT; ideally such patients would have been filtered out of the trial population but were not. Finally, the type of ADT3 used was weaker than that used by the doctors I follow closely. Instead of using bicalutamide (or equivalent) plus dutasteride (or finasteride) along with an LHRH-agonist drug from THE START of ADT, dutasteride and bicalutamide were added only after failure of the LHRH-agonist. This is a big deal! The experts rather frequently caution patients against sequentially adding drugs, a situation where the cancer is more able to defeat the individual drug, defeating all of them one by one instead of facing a potent combination. Moreover, I believe patients were not monitored for testosterone and DHT to ensure that there was satisfactory delivery of medication – monitoring that ADT experts routinely perform with adjustments as needed to improve odds of success. I have heard experts estimate that up to 10% of patients receive inadequate ADT because of drug delivery issues (such as unusually rapid drug clearance due to the individual patient’s metabolism, inadequate drug storage, inadequate drug delivery (into fat, or coil falling out), and inadequate mixing). All that said – the underpowering of the trial, the exceptionally challenging trial population, and the use of a weak form of ADT3 – those in the LHRH-agonist plus bicalutamide plus dutasteride group had a favorable TDP (Time to Disease Progression) of 623 days versus 425 for the placebo group (LHRH-agonist plus only bicalutamide group); that amounts to a 623/425 or 47% longer time to TDP when dutasteride is added (https://www.ncbi.nlm.nih.gov/pubmed/26048455 and especially the Clinical Trials .gov site for ) NCT00470834: https://clinicaltrials.gov/ct2/show/results/NCT00470834?term=NCT00470834&rank=1 ). Unfortunately, that is very far from proof, as Sitemaster has suggested. I suspect that the so called ADT3 combo was responsible for this impact, but it could have easily have been due to chance factors because the number of patients evaluable in the trial was so small. Writing another 842 words about all this doesn’t change any of the facts (as you admit at the end). I don’t understand what this set of comments adds to the conversation at all. Incidentally, this trial wasn’t “underpowered”. It was a pilot study to see whether a large Phase III trial was justifiable. It was never intended to actually answer the question in any absolute way. I should have been more precise in my reference. I was referring to the addition of dutasteride to ADT3.The AVIAS trial of intermittent ADT3 assigned men to dutasteride or placebo during the vacation cycle. It was a small Phase II study. There was no significant increase in the length of time they were able to stay on ADT vacation. Because of its failure, there was no reason to continue on to a Phase III trial. The AVOCAT trial randomly assigned patients to either bicalutamide monotherapy or bicalutamide plus dutasteride. The addition of dutasteride did not improve progression-free survival or overall survival in those locally-advanced/metastatic men. In order to add a drug to a treatment regimen, the drug should be safe and efficacious. Dutasteride, while safer than the other medicines, has not proven to be of any benefit when added to them in two preliminary randomized clinical trials. There are so many promising drugs worth testing, why waste further effort on this one? I did not want to waste time discussing this particular failure, I only meant to point out that it is one thing to have a hypothesis, but it is very different to establish credible medical evidence. The sad fact is that most therapies we hope will work … don’t. Thanks for mentioning these two trials, neither of which I had heard of. I’ll take a look at them. I did find the AVOCAT trial interesting but will not comment further as it is not relevant to ADT3. I have read and am thinking hard about the AVIAS trial, which looks quite relevant and involves some talented researchers with credentials in ADT. At least on the surface, the results are contrary to what I would have expected (based on the experts I follow and my own experience), even if the number of evaluable patients fell short of the number in the statistical plan.